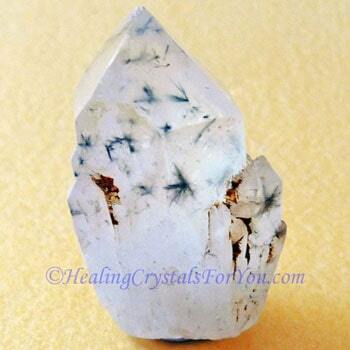 Star Hollandite Quartz is a type of high vibration quartz crystal that brings light into your being, from the Divine source. 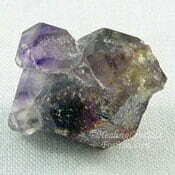 It has very small inclusions of Hollandite in it, that look like tiny black stars. 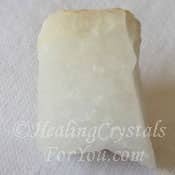 Valuable attributes of these crystals include helping you to develop psychic visions and to encourage powerful coincidence or synchronistic events to play out in your life. 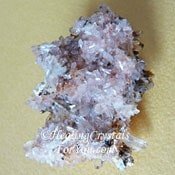 They have a number of metaphysical qualities that make them helpful healing crystals for you to use, including the amplifying effect of all types of quartz which is well known. This heightening of the energy means that even tiny inclusions like these create a more powerful result, caused by the quartz magnifying the level of vibration you may experience. 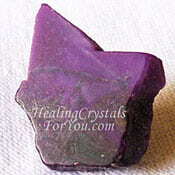 These unusual stones are powerful high vibration crystals with an action that may aid you to make contact with specific spirit guides. The role of these guides is to aid you to discover what the plan for your life was, and that may assist you discover why you chose to come here to this earth. Would you like to learn what your higher self planned for your life, and how to help your life to unfold as it was destined to? The meaning of its name relates to a man named TH Holland, who was the director of the Geological survey of India, in the period around 1906 when it was discovered. 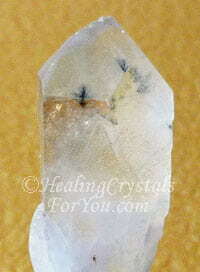 Star Hollandite Quartz is quartz crystal that has tiny stars of Hollandite included in clear quartz crystal. It is also known as Star Quartz or sometimes Black Star Quartz, because of the color of these tiny stars or miniature black spider like inclusions in the stone. 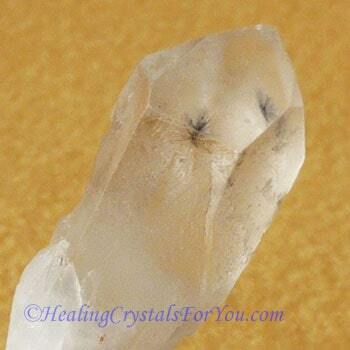 These tiny star inclusions in the quartz are known as Hollandite. They comprise a mixture of barium oxide with other minerals including magnesium, and it is said Goethite. Although they were discovered in India, the main place where they have since been found is in Madagascar. 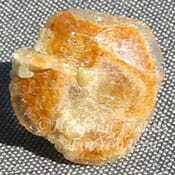 Hollandite is found in a number of countries and is related to where manganese is mined, but it needs barium to also be present to create this variety of quartz. Yet it seems that the process where the Hollandite becomes embodied in the quartz and as a result of high temperatures forms these lovely stars is fairly unusual. Up till now they have only been found in India and Madagascar, so until they are found elsewhere they may be less easy to obtain. 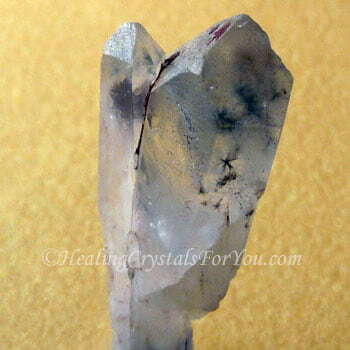 In the past this crystal was known as spider quartz. Some pieces of this stone have only tiny grayish dots rather than visible stars, yet other pieces of this crystal have quite visible grey or black stars in them. 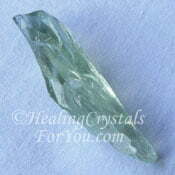 Like many crystals, one of the ways to use this crystal is to do a crystal meditation. Generally quartz crystals are powerful to use to meditate with, because they can be programmed, which can help you to achieve a specific outcome from your meditation. It may be beneficial to learn how to program your crystal, to help you to bring a desirable opportunity or circumstance into your life. 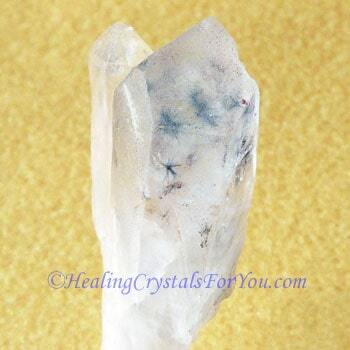 Hollandite Quartz is excellent to use to meditate with, especially if you are aware that you have had a past life in ancient Egypt or Atlantis. It is also said that it may aid walk-ins or star seed beings to adjust to the energy of the earth. During meditation you may make contact with star beings, and spirit beings that may guide you to remember past lives in these areas. This may help you with dissolving any karma that you may have not yet released, that is associated with past life events. When we are born we generally suffer from a type of amnesia, blocking us from remembering why we decided to be born, and what our purpose and destiny was in returning to the earth at this time. Yet it is possible to remember why you came, and although this may be a gradual process. 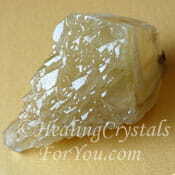 You may find that using Hollandite Quartz helps to break the barriers down between the past and the present. You may learn your reason for coming here, and how to go about walking the path that your higher self planned for you before you were born. 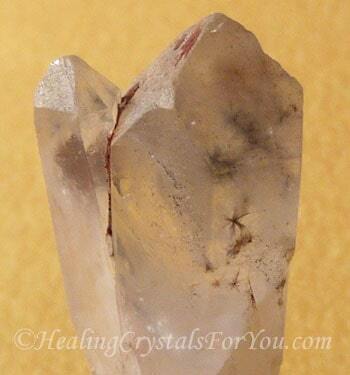 Star Hollandite Quartz are powerful crystals, and this relates to a combination of two different attributes of these stones. 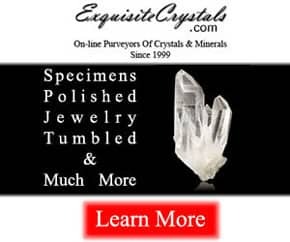 Firstly the fact that all types of quartz has an excellent ability to amplify the action of any minerals that are included within the quartz. 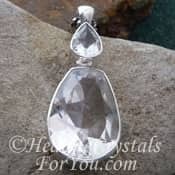 Secondly, the energy of the Hollandite mineral within the quartz is more powerful owing to its vibration being amplified. Coincidence is the way spirit or angelic beings put necessary information or situations in your path, for you to be aware of, so you can take action and make alterations to your life. 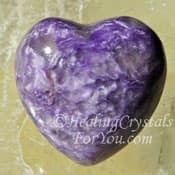 These crystals have an excellent energy to aid emotional healing, and they have a valuable effect within the thymus also known as the higher heart chakra and the heart chakra. Using them is one of the ways to help your stress, and their energy can be beneficial to assist you if you are feeling tense, anxious or stressed. 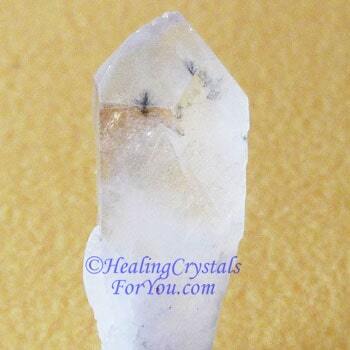 Hollandite Quartz crystals are quite grounding, and the Hollandite mineral can help you to release negative energy that you may have accumulated within your auric field. Their energy can be helpful to heal anyone who has been undergoing radiation treatment, as they aid the body to process radiation and high vibration energy entering the body's energy field. 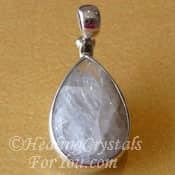 While jewelry made from Hollandite Quartz is not common, you can get macrame pouches that work well to hold different shaped crystals, and these are now more commonly available from many crystal suppliers. Alternatively you can simply put a small piece in your pocket, as the main thing is to keep it within your auric field. 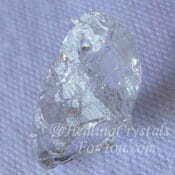 At night you may like to place a piece of this crystal under your pillow. This may include helping you to develop psychic visions or what is known as clairvoyance, and they may aid the development of psychic hearing also known as clairaudience. 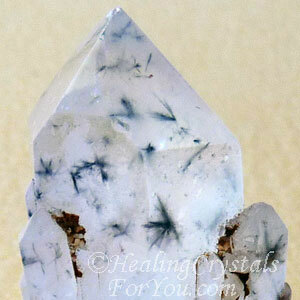 Star Hollandite Quartz are crystals that have both a unique vibration and a quite unusual look to them, as they have tiny inclusions of Hollandite in the quartz, like tiny black stars. These high vibration crystals bring light into your being, from the Divine source and they have some helpful metaphysical attributes. They may help to boost your clairvoyant ability and intensify psychic visions and stimulate amazing coincidence or synchronistic events to occur in your life. 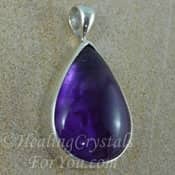 If you would you like to learn what your higher self planned for your life, before you came to this earth, using these unique crystals may aid you to make contact with specific spirit guides, whose job is to help you to learn what was planned for you for this lifetime. 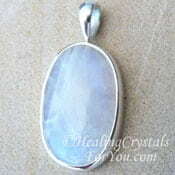 Why Would You Use Hollandite Quartz? 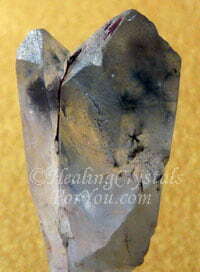 These high crystal energy stones vibrate within all chakras, but especially within the higher chakras. 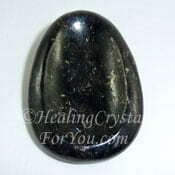 Their action within the soul star chakra, located above the head in the etheric body, is related to spiritual growth, and they are excellent crystals to stimulate your visionary abilities. If you wish to allow change in your life, this may be aided by the gentle yet potent way that these crystals stimulate coincidence or synchronicity to occur. Yet these stones do not have an energy that overwhelms you. 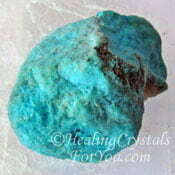 These crystals have quite a number of excellent metaphysical properties. One of the more powerful attributes are their ability to increase the amount of high frequency light in the body. This can be significant to aid you in a number of different ways. 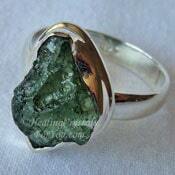 Having a piece of this stone on your body may open up all manner of gifts. 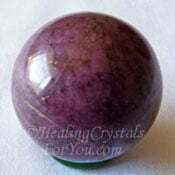 This includes stimulating clairvoyant ability with clearer psychic visions, and may aid contact with your spirit guides. This energy may particularly help you to have a greater understanding of why you are here, and what you need to do to fulfill the mission you created for yourself before you came into this life. The energy of one of these crystals will vibrate within all chakras, including the eighth chakra, above the crown chakra, which is known as the soul star chakra. Because the energy of these crystals is cumulative and may take some time to have an effect, it could be beneficial to keep one of these stones on your body every day. 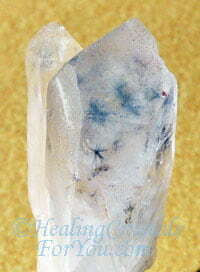 Hollandite Quartz is also helpful to have under the pillow at night, as this can bring an increase in coincidences and synchronicity. This can be in both the number of events that occur and in your awareness of these occurrences. You may see inner visions of future events (foresight) so be alert to this occurring. What you discover from these visions may aid you to move forward in a new direction. Be aware that change in your life is not automatic. 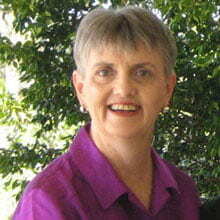 It may take courage to allow yourself to go with the changes, and take action when you see doorways opening before you. 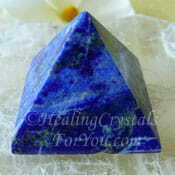 The action of these crystals within both the third eye chakra and throat chakra may aid the development of psychic gifts. It can be a little scary to take that first step. If you feel trepidation, it can be beneficial to ask your spirit guides and the angelic kingdom to help you when you need it as they will guide you about whether this is the right action to take. When you become aware of what may be synchronistic split second ah-ha moments, or visions occurring, they may feel like deja vu or past events. But it is possible, even probable that the visions you may see are of future possibilities, that may benefit you to pay attention to. "If you are facing in the right direction, all you have to do is keep on walking." Buddhist saying. To aid coincidence or synchronicity to occur, there are quite a few crystals that may aid the process and that you might like to use it with. 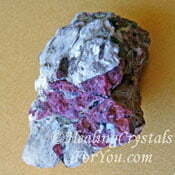 Use it with Eudialyte, Rubies, Labradorite or Astrophyllite, or with or any of the other stones on the list in the coincidence synchronicity article. 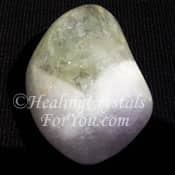 Combining Hollandite Quartz with other high crystal energy stones, and in particular with Cryolite, may aid you to awaken to the spiritual destiny that was planned prior to your birth. You may also choose to combine it with other high vibration stones, and this could include Natrolite, Phenacite, Moldavite, Herderite, Creedite, Amethyst Cacoxenite or Stellar Beam Calcite, to boost its action for this purpose. Using it with other quartz crystals that aid clairvoyance such as Green Prasiolite aka Green Amethyst, Purple Amethyst or Clear Quartz Crystals may be beneficial. 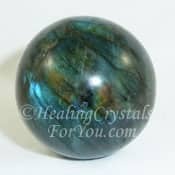 To help you with developing your clairvoyant abilities, use it with stones that are particularly helpful to aid you to develop psychic visions more quickly, including Turquoise, Lapis Lazuli, Blue Sapphire, Rainbow Moonstone, Sugilite or Charoite.